A lot of customers who contact our hardwood floor installation team in Danbury wonder if they should put hardwood flooring into their kitchens. They love the look but are concerned about whether or not wood floors can stand up to the demands of the kitchen environment. Let’s look at some of the pros and cons! Just like in the rest of your home, hardwood in your kitchen can make the space look warmer and more inviting. Hardwood is relatively easy to clean in case of those accidentally spills in the kitchen, too. Unfortunately, real hardwood floors are prone to damage in the kitchen. Just like all wood, hardwood floors can expand when exposed to heat and moisture (two things common in the kitchen). Whether or not this is going to be a major issue for you depends, in part, on how you use your kitchen and how much time you spend in there. 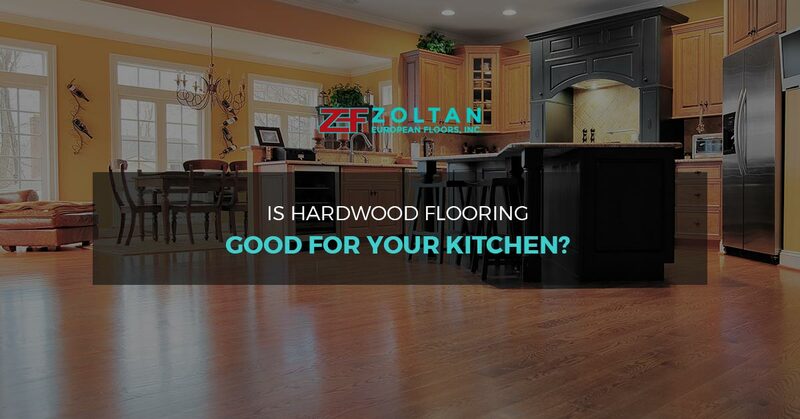 If you want hardwood in your kitchen, the Zoltan European Floors, Inc. team can make it happen! We can help you find a wood that will less prone to damage and offer tips on how to keep it looking its best. However, if you love the look of hardwood, you might want to consider going with an engineered wood or laminate flooring option. This gives you the look and feel of wood without the hassle in the kitchen environment. Let our team help you find the right floor for your kitchen! From hardwoods to laminates and everything in between, we have it all and we’ll make sure you find the perfect flooring option. Get in touch with us today to learn more and schedule your flooring consultation.